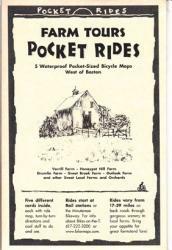 Packet of 5 waterproof, laminated map cards of biking routes west of Boston. 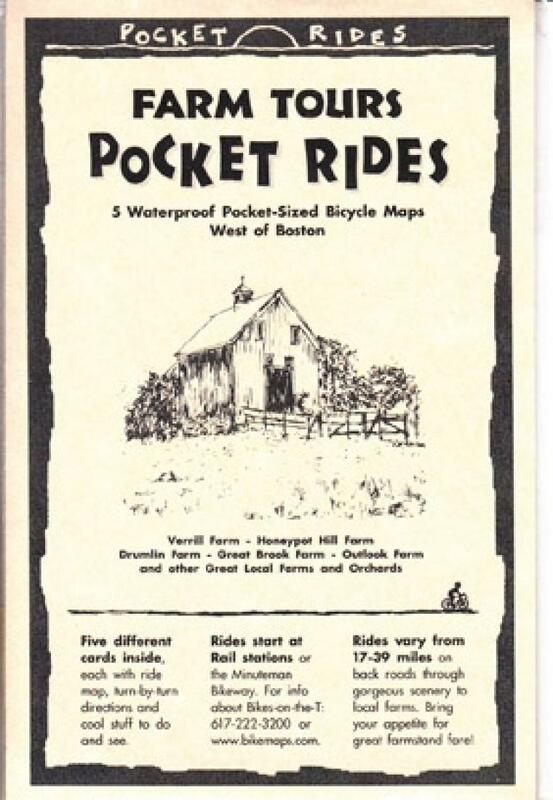 Covers Verrill Farm, Honeypot Hill Farm, Drumlin Farm, Great Brook Farm, and Outlook Farm. Rides start at rail stations.